Discussion in 'The Lounge' started by BadDNA, Feb 1, 2008. It absorbs NOx from exhaust gas and converts a portion of it into ammonia, which is also absorbed and used later in a reaction that converts the remaining NOx in the exhaust into nitrogen (N2). That nitrogen is, in turn, converted into grape soda, which is frozen and served to local schoolchildren in the form of popsicles. You mean for the US, they've been making diesels in other countries for years now. Subaru is just coming out with diesel boxer engines for the Euro market. If demand looks significant enough they'll bring them to the US too. Grape soda? Great, now kids will be even fatter. I've been wanting one of these for years. Toyota has made 4 door trucks in Australia (and other places) since the late 80s and diesel has always been an option. 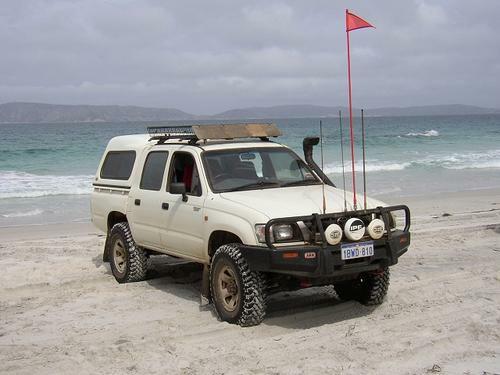 I worked with a guy back in '95 who showed me pictures of his truck in Australia. 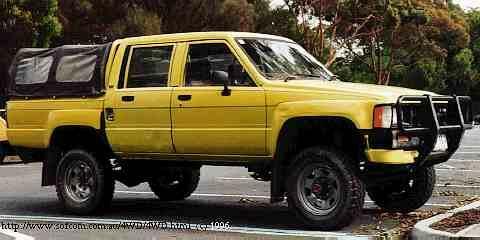 It was a T100 body style with a diesel inline 6 and 4 regular doors. He had videos of that truck wheeling in the outback, that thing went anywhere. Old School 84-88 body style.